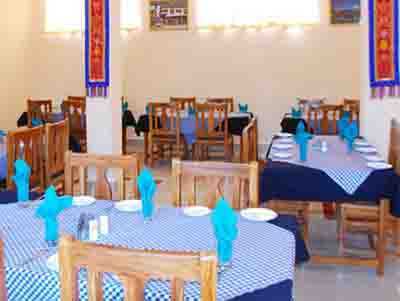 The property is approximately 2 km from Ladakh Bus Stand and 29 km from Stakna Monastery. There are 20 rooms on 2 floors equipped with the essential requisites. Available amenities in the rooms include an attached bathroom with hot and cold water supply, television, bottled drinking water and a wardrobe. A doctor-on-call service is also provided to the guests. A luggage storage, backup generator, laundry and a medical aid are a few of the conveniences offered by this property in Leh. Leh Kushok Bakula Rimpochee Airport is approximately 6 km away and Udhampur Railway Station is 777 km away from Hotel The Palace in Leh. Family/Child Friendly, Parking, Laundry Facilities, Doctor on Call, Room Service, Front Desk, Major Credit Card Accepted, Welcome Drinks, Backup Generator, Complimentary Newspapers in Lobby. Air Conditioning Room, Luggage Rack, Complimentary Newspaper, Cable/Satellite TV, Bottled Water in Room, Desk, Telephone, Attached Bathroom, Television Room, H/C Water. User reviews for "Khasdan Hotel Leh"